The Dunkirk Volunteer Fire Department Inc., in conjunction with Calvert Advanced Life Support (CALS), is pleased to announce the addition of an Advanced Life Support Unit that will be housed at Dunkirk’s Firehouse-3170 West Ward Road, Dunkirk Md. 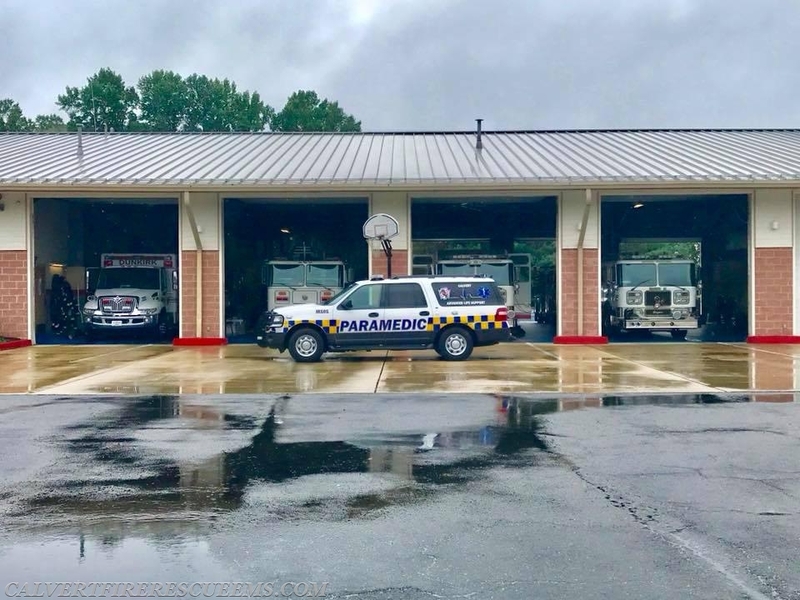 Historically, the northern portion of Calvert County has always had the longest delivery time of Advanced Life Support, averaging 16-20 minutes from dispatch to arrival. This issue has been a priority for many years, numerous options have been explored, and we are extremely pleased to finally make this project of priority, a reality. To get a better understanding, for those that are not aware, all of the Advanced Life Support in Calvert County is provided by volunteers. Paramedic Chief Chris Shannon, along with 50 VOLUNTEER Paramedics provide the ALS coverage in Calvert County, from Solomons Island to Dunkirk. There is, on occasion, Advanced Life Support provided under our Mutual Aid Agreement from the Anne Arundel County Fire Department, and the Prince Georges County Fire Department. These mutual aid resources are utilized when the ALS response time is extensive, and/or Calvert County’s Advanced Life Support Units are committed on other responses. The Dunkirk Volunteer Fire Department is pleased to continue providing our wonderful community with a full service, Emergency Services Department consisting of Firefighting, Technical Rescue, Water Rescue, Ambulance Services, and now accelerated Advanced Life Support thanks to Paramedic Chief Shannon and his members.